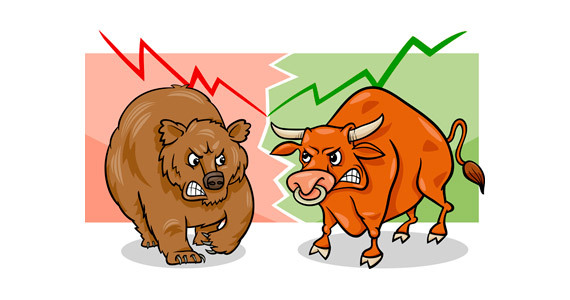 An investment into shares usually brings out one of two emotions in people – fear or greed. Investing in shares can result in a total loss of money invested or a massive increase in value that is hard to replicate by investing elsewhere. Investing in shares isn’t for everyone as the value of one’s investment and the fluctuations of the value of the investment can be seen on a daily basis. To look at a share, it is simply a piece of paper that shows your name and that you own however many shares in the company and the company’s name. Investing into the share market offers much more reward and excitement than a piece of paper though. There is an old saying regarding the sharemarket that there are many ways to skin a cat! At JHFP we promote two ways to invest into shares. The first is to identify a company that you want to have ownership in. You may do business with this company by the sheer fact that you buy your groceries from the company or all of your banking is with that company. You then need to consider which stage the company is in and whether that fits with your risk profile and objectives in investing into shares. Is the company relatively new and in a high growth phase or is it an old mature company? Does it pay dividends, what is its outlook for growth and to increase the dividends, does it have high debt levels and is constantly tapped on the shoulder by the banks. If the company meets your criteria, you then need to consider whether the current share price represents good value or not. If the company doesn’t meet your criteria, is one of its competitors, or a different company all-together a better investment! At JHFP we have research that we subscribe to from share market analysts that allow us to help you find the right investment. Our second method is where we follow the momentum of the market. By keeping a monthly log of the All Ordinaries (a basket of the top 500 companies listed on the Australian Stock Exchange) and the sectors within the All Ordinaries, we believe that we can be in tune with the markets momentum and recommend whether you should be buying or selling. We also log the momentum and direction of the sectors within the market of which there are 15, so we know which sectors have positive momentum behind them and which don’t. Vary rarely do all of the sectors in the stock market move in the same direction and there is typically one sector that is the “hot” sector within the market, these streaks can last for up to 24 months. Once we have identified the hot sector, we attempt to identify those stocks that provide the most ideal risk/return outcome. Typically, we will try to concentrate on those stocks that are represented in the top 200 companies within the All Ordinaries. This style of investing has little regard for taxation considerations and is based on having the best chance to make a capital gain out of the stock market and crystallising that gain before the stock and the sector run out of steam. Whether you are experienced in investing in the share-market or totally new, you are welcome to call the office to discuss further. Please call the office on 08 8186 3589 or use our contact form should you wish to discuss your insurance needs further. Any advice provided in this publication should be considered General Advice as it does not take into account your personal needs and objectives or your financial circumstances. You should therefore consider these matters yourself before deciding whether the advice is appropriate for you and whether you should act upon it.